Dale was born Aug. 28, 1933 in Ayr, Neb., to Daniel and Elva Blanche (Merritt) Reiber. He passed away in his home on the East side of Coos Bay April 3, 2019. In 1936, when he was 3 years of age, Dale’s dad piled the family into one vehicle and a trailer and moved to Oregon. His dad eventually found work up Coos River and the family settled down at the bottom of California Street on Coal Bank Slough to the South of Marshfield. The house was situated along the slough that Dale and his lifelong friends, Bob Hill, Gary Hoeger and Jerry Dougherty swam and played as well as where they developed their fishing and hunting skills. Dale told of how he had set lines in the slough and he would check them each morning before school. If he had caught a striper he would place it in his mom's kitchen sink and head off to school. His mom would then finish cleaning the striper. Eventually the family bought a little yellow house that is still standing on the intersection of 13th and Idaho streets in Englewood. Dale went to Englewood school, Marshfield Junior High School and graduated from Marshfield Senior High School in 1951. Dale enjoyed playing football in high school and met the woman who he would marry, Rovalle Elaine Irion. Dale and Rovalle were married March 14, 1953 in Coos Bay. Dale had his draft notice waiting for him when the couple came back from their honeymoon. He served from May 1953 until May 1955 and was stationed in Germany during the Korean War. Meanwhile Rovalle stayed in Coos Bay and gave birth to their first child, Larry. When Larry was only 4 months old, Rovalle, with her infant in arms, took off for Germany so Dale could meet his son. They returned to the states when Larry was about 18 months old. Dale soon decided to head to Oregon College of Education (now Western Oregon University) to get a degree in education. While going to school and working, their daughter, Dale Ann and another son, Marlin were born. Dale graduated from OCE and went back to Coos Bay and began working for the Coos Bay School District in the fall of 1959. Dale started out teaching math at Marshfield Junior High School, he then taught and became vice principal at Michigan Avenue Junior High, then principal at Allegany School, then back to Michigan Avenue, then dean of students at Marshfield High School. He finished his career as a middle school counselor at Millicoma Middle School. He was continually going back to summer school to earn the next degree that would enhance his career. Dale also coached football, basketball and track during his tenure with the junior high and middle school and officiated basketball games for a short time. Dale was an avid outdoorsman. 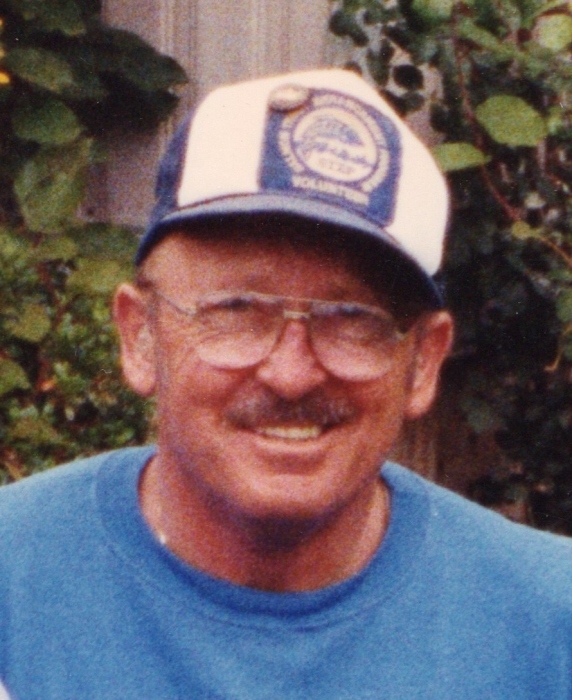 He enjoyed fishing and hunting with his children and grandchildren. His grandchildren were always anxious to go fishing with grandpa and always were hoping to be the next one to catch a fish with him. Dale enjoyed the South Coast of Oregon due to the beautiful four seasons of the year. Spring Chinook salmon season, summer silver salmon season, fall Chinook salmon season and winter steelhead season. Not only did he enjoy fishing and hunting with his children and grandchildren, he also taught hunter safety and used his position as an educator to provide opportunities for his students to learn about the outdoors. As the middle school counselor, he was fortunate to use the Morgan Creek Fish Hatchery as a classroom for kids to explore science and nature. He orchestrated several field trips to the hatchery and was instrumental in getting the mini courses that Millicoma offered in the 1980s. The mini courses included, clam digging and then cooking the clams at the beach. He was in his element organizing these trips with students. Kids who didn’t attend school regularly always showed up when Mr. Reiber had these field trips planned. Dale retired from the school district in June 1989. In retirement, Rovalle and Dale made memorable trips to the Grand Canyon, Ariz., Alaska and the north East Coast. In the spring they would drive their RV down to the Rogue River for spring Chinook fishing and would camp for a month at a time. Dale’s brothers, with their wives, joined them. This was annual event for about 15 years. He would come back from the Rogue and smoke the fish he caught and deliver to his friends as a surprise. Dale also took advantage of minus tides to go clam digging. He loved clams fried, on the half shell, grilled with bacon and cheese, clam fritters, and clam chowder you name it. Dale loved to entertain and played the guitar and harmonica. He had his hilarious campfire songs that he and Wayne Young, Tom Jacobson and Al Hashburger would sing and play when they sat around a fire. Dale and his good friend Cliff Lance had a traveling oyster bar and would entertain at weddings and retirement parties preparing and serving oysters. Again, Dale was his happiest sharing seafood with friends. He was instrumental in the establishing the STEP program on the South Coast in the 1980s and '90s. He was a leader of the local chapter of the Northwest Steelheaders. He managed a couple of hatch boxes on his property on Stock Slough for many years. It was a pleasure of his to invite people to see the returning salmon spawn. When the CASA (court appointed special advocates) program started in Coos County, Dale stepped up to help students in this program. He always had a passion for assisting kids in crisis. At the end of his life, he was fortunate to remain in his home with the help of family, Bay Area Home Health nurses and his Dr. Bankuru. We are thankful for his care givers and we are comforted that he had a good life until he died. He is survived by his wife, Rovalle; son, Larry and wife, Sandy; daughter, Dale Ann and son, Marlin and former daughter in-law, Vicki Bruno; granddaughters, Erica Goodyear and Scott of Milton Freewater, Katy Shelton and Benjamin of Hillsboro, Jessie Reiber and Jimmy Hill (Bob Hill’s grandson) of Coquille, Isa Bruno and Robert Wolf of Beaverton; grandson, Joseph Reiber of Portland; his great-grandchildren, Gavin, Scarlett, Olivia, Max, Edie, Henry and JamiLynn; as well as dozens of nieces and nephews living in the area that he was close to. Dale was preceded in death by his parents; his sister, Ruth who died at four months; and his brothers, Don Reiber, Mervin Reiber and Orville Glen Reiber.